P1 walked over to the Physics Department at Beaton Road to take part in experiments relating to their Penguin Small topic. The annual topic gives the pupils the opportunity to learn about melting ice, friction, the North and South Poles, floating and sinking. 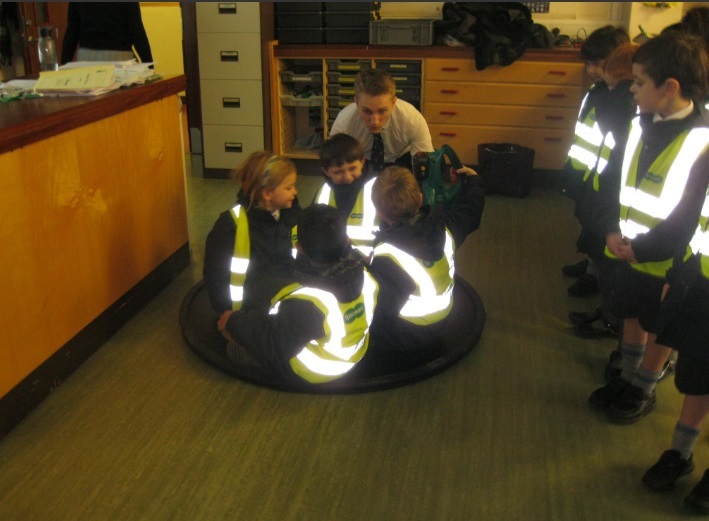 On the day they took part in lots of experiments and even flew on a small hovercraft through the school corridors. A lot was learned and the class is looking forward to returning to the Secondary school again soon.